Please note: Saturday, September 23 beginning at 7:30pm until 9:00pm, there will be some road closures in downtown Kemptville. The roads affected are: Reuben Cres, Mary St., Joseph St., Victoria St., Jack St., Parkinson St., Eilliott St., Vista Cres., Bridge St., Clothier St. E., Lydia St. S., Maley St., Oxford St. E., Court St., Asa St., Thomas St., Elizabeth St., and Prescott St.. 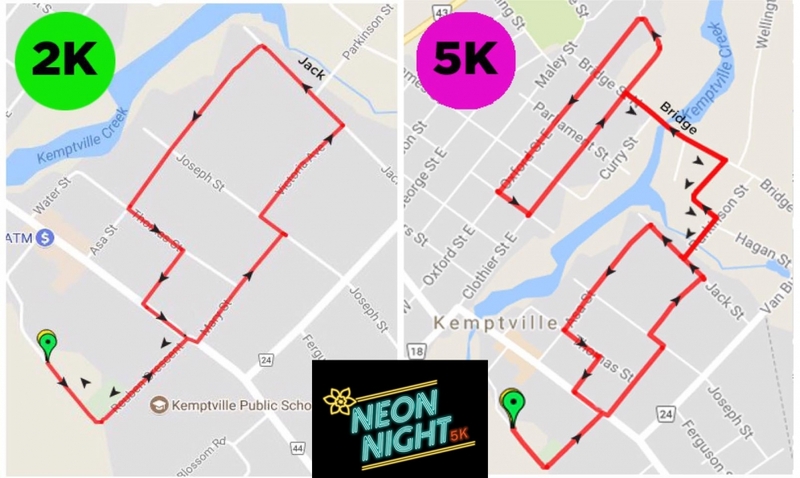 The OPP will be stationed at Bridge St N at Oxford St., Bridge St S at Parkinson St, Prescott St at Van Buren St and Prescott St at Asa St..
For more information about Neon Night for Childhood Cancer in Kemptville 2017, please contact Christina Thompson at 613-723-1744 ext.3620 or by email: .